Due to unexpected delays in the renovations at Goldsworthy Oval Corio, the Geelong Highland Gathering have advised Pipe Bands Victoria that they have had to move the Victorian Pipe Band Championships another venue. The Geelong Highland Committee were only advised yesterday, therefore the change of venue is outside their control. The Gathering committee knew that Goldsworthy oval was being renovated and were told it would be ready. Yesterday at a site walk through with the contractor and council, it was obvious that it would not be good enough for pipe bands to march on. This presented a safety issue for bands and all other participants. 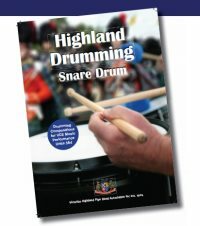 Pipe Bands Victoria will continue to publish information as and when it is provided by the promoter. Members are encouraged to visit the Geelong Highland Gathering website at geelonghighlandgathering.org.au for further information.